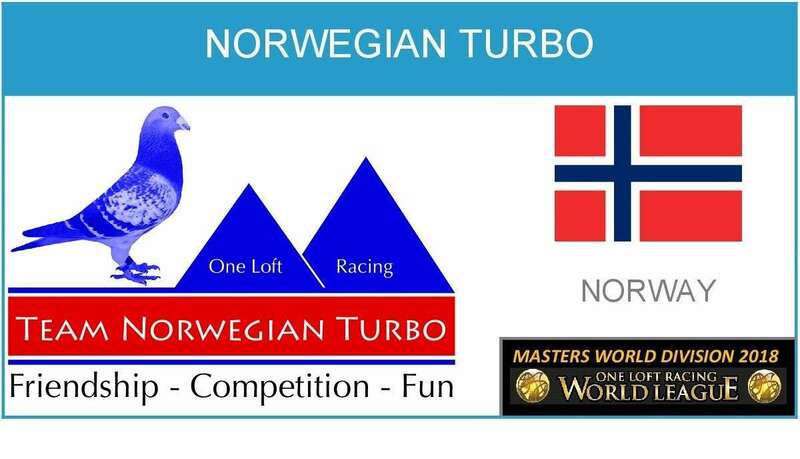 Norwegian Turbo (Norway) maintains the leadership of Masters World Cup 2018 (Main competition of Masters World Division) after 15 of 21 races. MASTERS WORLD CUP 2018 (Main Competition). FULL TABLE. MASTERS WORLD CUP 2018 (Main Competition). RESUME. 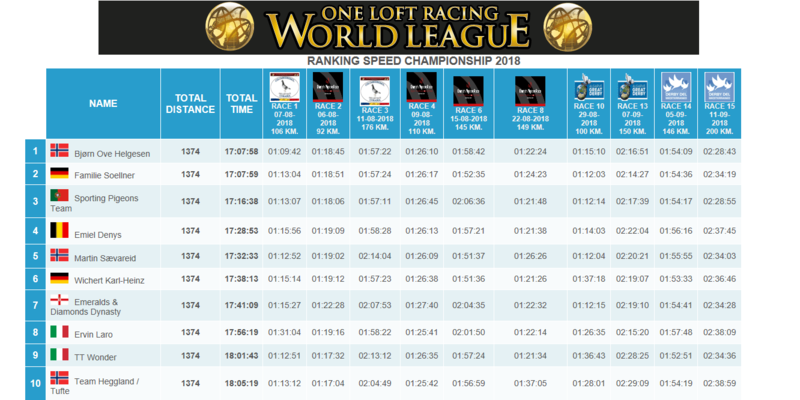 Bjørn Ove Helgesen (Norway), with this result, has managed to be the new leader of Speed Championship 2018 after 10 of 11 races. 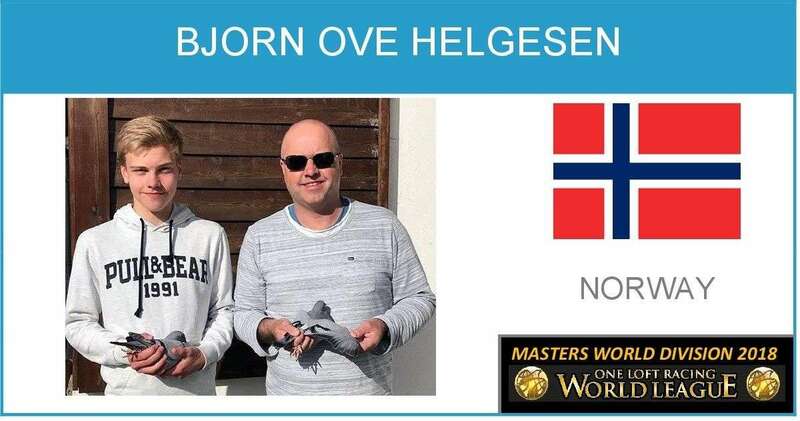 Exciting Speed Championship 2018 final, only one race to finish and the difference between the first (Bjørn Ove Helgesen) and the second place (Familie Soellner) is one second, so everything will be decided in the last race, which will be: Algarve Great Derby: 14/09/2018. 200 km. 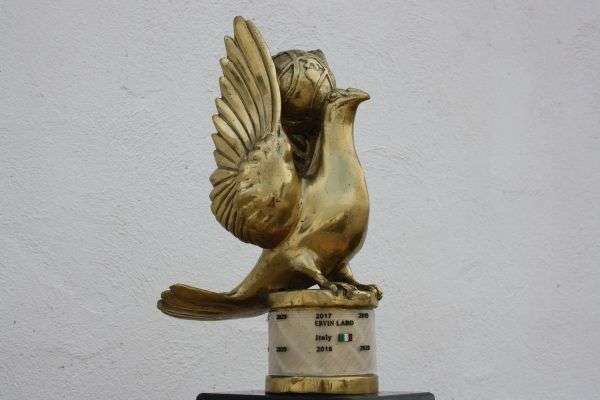 The next race will be: Algarve Great Derby. 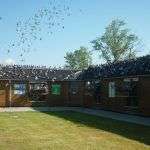 14/09/2018. 200 km. 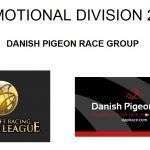 It will be the last scoring race for Speed Championship 2018 of Masters World Division, so we will know the winner of this championship next friday, exciting Speed Championship 2018 final, the difference between the first (Bjørn Ove Helgesen) and the second place (Familie Soellner) is one second, with the third (Sporting Pigeons Team) the difference is 8 minutes and 40 seconds, so everything will be decided in the last race, which is scoring race for Masters World Cup (Main competition), as all 21 races.